Feeling heavy, a little bloated? Eat and drink a bit too much during the past couple of weeks? No worries, don’t beat yourself up over it, that’s what the holidays do to just about everyone. Family gatherings, food, drinks, friends, more food and drinks, sweets, parties, champagne, confetti, YAY! Hopefully by now you’re caught up on sleep, had your hangover helpers, gotten out of your jammies and are ready for a fresh start. New year, new day, new you! Never mind New Year’s resolutions, they never work, well at least not for me. Every time I resolved to do something I’d forget about it by the end of January anyway so I will not be making any new promises. I’ll just continue to work on the things I need to work on and do exactly what makes me happy. So needless to say, I will not be joining a gym, or vow to eat more veggies but whenever I feel like working out, I will, and when I’m feeling sluggish, I’ll make my post holiday spicy elixir. This drink is so delicious and incredibly good for you too. 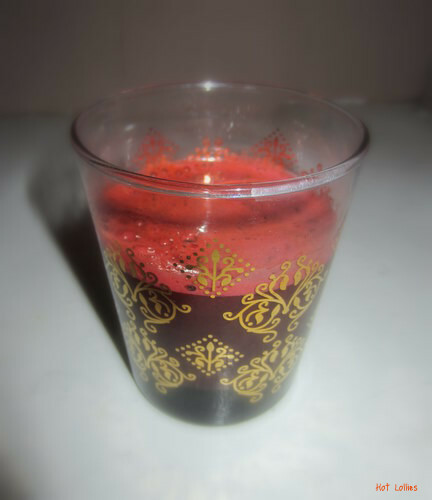 I use fresh beets, carrots, spinach and ginger, all of which provide wonderful health benefits. Ginger is great for nausea and any general stomach issues and inflammation, beets are known to help combat iron deficiency and anemia and the carrots and spinach are loaded with vitamins and beta-carotene. 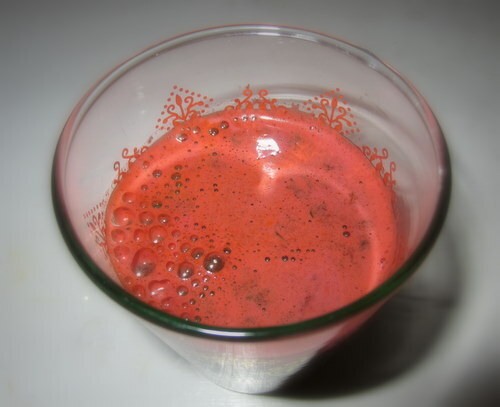 This drink is mildly sweet from the beets and carrots and a bit spicy from the ginger. Sort of makes you forget you’re drinking veggies. It’s a great way to start your day and easily get in your recommended daily vegetable servings in just a few ounces! Also, use the leftover ground up veggies in the juicer to make vegetable cake, bread or cookies. No waste, how great is that! Juice all the ingredients one at a time. Makes about 18 oz of juice. Chill and drink it all if you like but I like having just a little each morning for a quick pick me up. The ginger in this drink will definitely get you going and get you back to a renewed you!